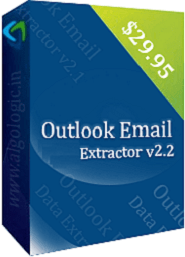 Outlook Email Extractor v2.2 is a best software for extract email addresses list from Outlook 2003, Outlook 2007, Outlook 2010, Outlook 2013, Outlook 2016 and Office 365. Outlook Email Extractor v2.2 extracts email addresses with email sender's name from recipients, cc, bcc, subject and mail body of Outlook emails. Outlook Email Extractor v2.2 displays all email accounts configured in Microsoft Outlook that easier for you to select any mail folders (INBOX, SENT ITEMS, DRAFTS, DELETED ITEMS and user folders) from which you want to extract email addresses list. Outlook Email Extractor v2.2 also have options to extract only required email addressed from Outlook emails. It eliminates duplicate email addresses automatically from extracted email addresses and can be saved in Excel (xls / csv) and .txt file. Shows all email accounts configured in Outlook. 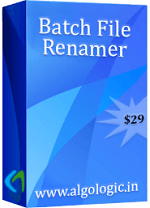 It allows you to select any email folder for extract email addresses list. Options available for collect only required email addresses from Outlook emails. Duplicate and Garbage email addresses automatically eliminated. Extracted email addresses can be saved in .xls, .csv and .txt files. Supports Outlook 2003 ~ Outlook 2016 and Office 365. 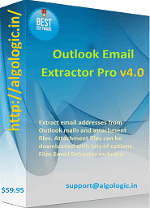 Easy to use and fast outlook email extractor software. free trial available for Windows. Best Outlook Email Extractor software for Email Marketing. A software for extract email address from Outlook emails and attachment files (.pdf, .doc, .xls, .ppt, .csv, .txt) in Outlook emails. It allows you to select file types to download from Outlook emails attachment and extract email addresses from these files and Outlook emails. Extracted all email addresses with sender's name can be saved in Excel.